New: Brewing courses in the afternoon, too! Our small brewery in the centre of Berlin focusses on quality and produces good, authentic craft beer. Unique taste and selected ingredients are what make our beer special. With lots of passion and love we operate in Berlin’s possibly smallest brewhouse. Besides our assortment of beers, we also offer brewing courses where you learn all about making beer. 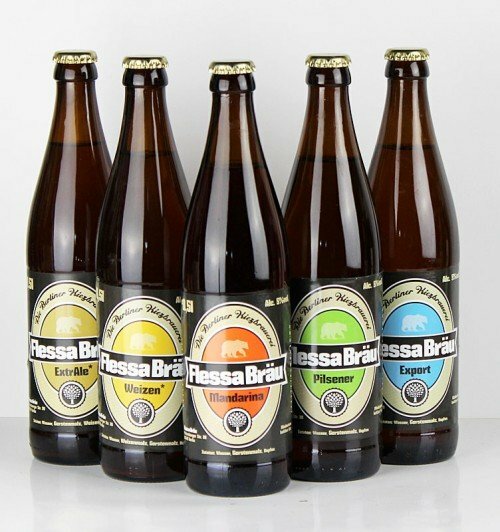 As a special for your next party, you can rent tapping units together with kegs of Flessa Bräu for a low fee. Feel free to stop by and convince yourself of the brewery and our beers. We’re looking forward to meeting you! Be the brewers apprentice for a full day. In our individual training you will learn the art of brewing beer.